AngryRussian had been dying to take me to John B. Pub, a place he’s been going to for years, and one night we finally had the chance. John B is a casual pub restaurant in Coquitlam with an attached liquor store. It is super roomy with plenty of tvs to watch the games from. There’s even a huge round firepit in the middle but I’m not sure when that’s ever on. The particular day we’re there Caesars were on special so we each had one to start. These were served in a single glass. 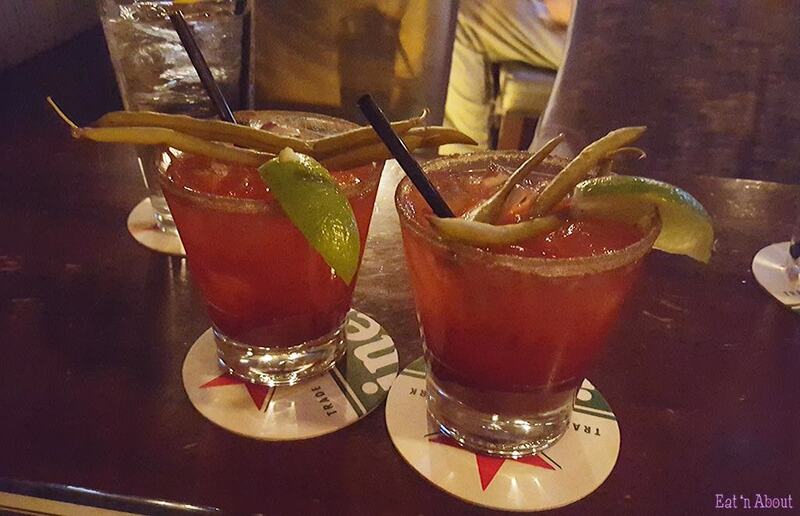 These were good and I especially enjoyed the celery salt rim and the spicy beans. The drink was very well seasoned and had just enough kick. 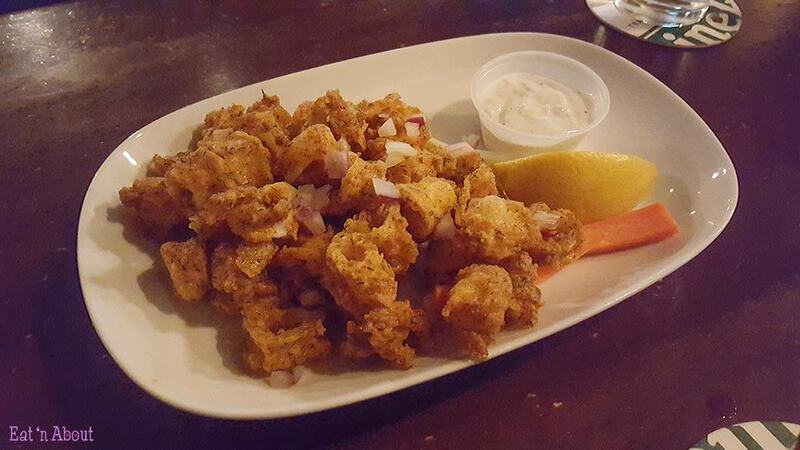 We had the Calamari ($12.50) to start us off food-wise. I liked the batter on the pieces. They had a good fry on them- crisp and flaky, not greasy at all. However I found the calamari pieces themselves a bit thin…I would’ve liked them to be more meaty. I was in a burger kind of mood and John B. sure had a ton to choose from. 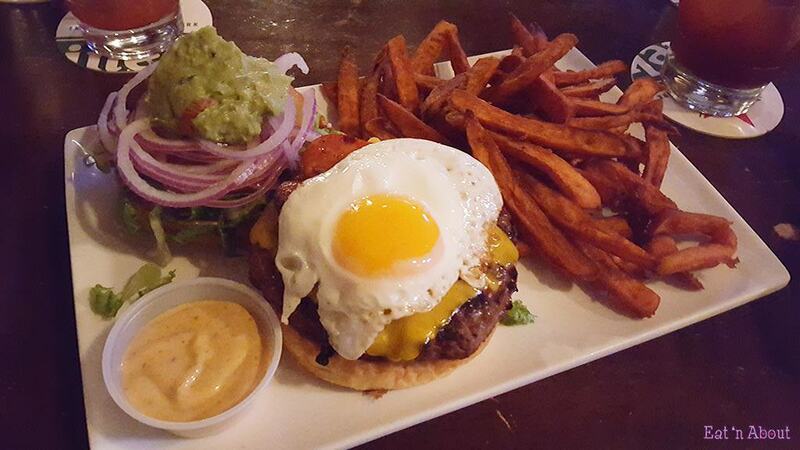 I settled on the Egg-cellent Burger ($14.50) because it came with a fried egg on top. Not only that, there was also chorizo sausage and guacamole, along with the usual suspects of cheddar cheese, lettuce, tomato, and onions. It was so satisfying to break through the yolk and have it run down the charbroiled beef patty. This was one messy burger for sure. I ended up not really caring for the chorizo though…it was too salty and the casing was tough to chew through. I ended up taking it out. 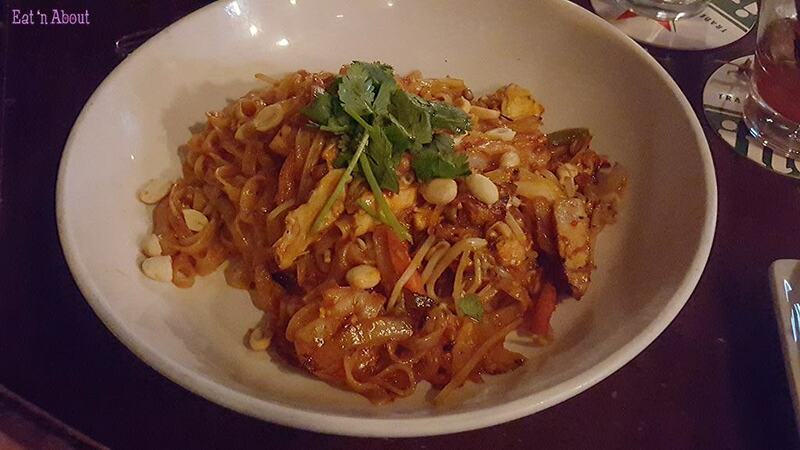 AngryRussian had the Pad Thai ($12) with prawns ($14.50). Now I thought it was odd for this type of restaurant to offer Asian fare (they also had “Oriental Noodles” and “Vegetable Stirfry”) but apparently they have an Asian cook back there. I wasn’t exactly sold but I had a bit of his noodles and it wasn’t bad. Maybe I’ll give it an honest try next time. We also went for brunch one day. 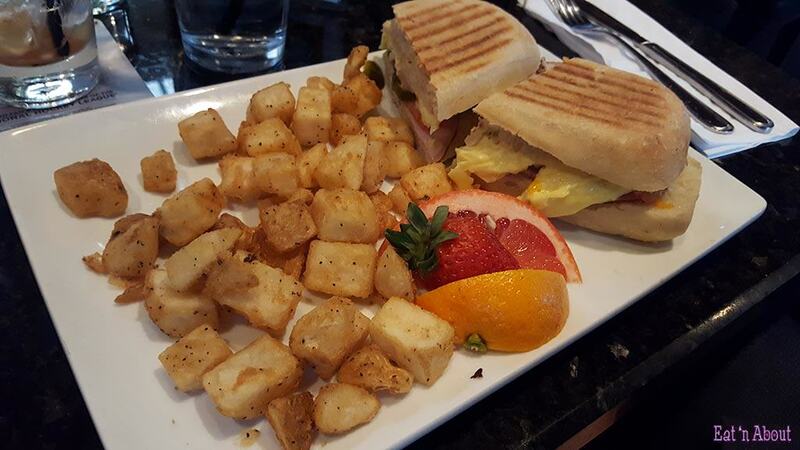 They offer a weekly Sunday Brunch and you can either order a la carte or they have a pretty good Brunch Buffet spread too. Best part is they have caesars on special for $4!! 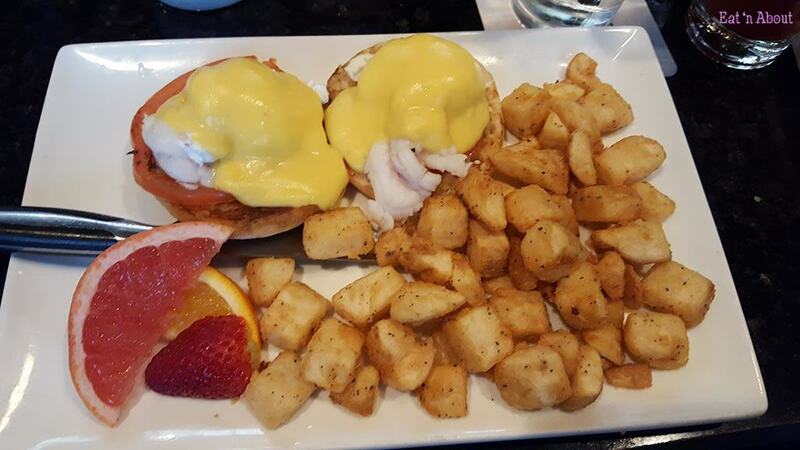 I had an American Benedict which is an eggs benny with lobster. It was good! The yolk was runny and the lobster was meaty. Even the potatoes were nice and crispy.